We Want to Memorize Scripture but.. Even though we know how important it is to memorize the Bible, we can’t seem to make it happen. We start, then stop in just a few days. We make plans, and don’t follow through. Sometimes, just the idea seems so overwhelming that we don’t even try. For a long time, I was in the camp that didn’t even try. 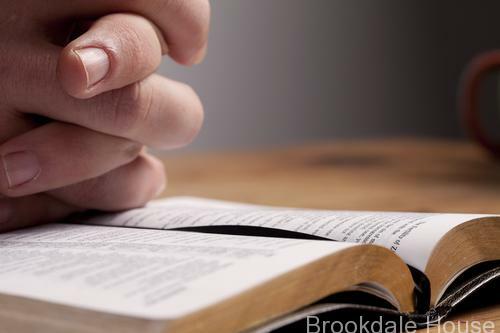 Even though I had walked with God for years, having been born to a single mother and having lived in poverty during many of my childhood years, I knew how important the Bible verses I had memorized as a child have been to me. Yet, I failed to move beyond the Scripture which my mother had made me memorize–a few independent verses, the Our Father Prayer, and the 23rd Psalm. As a young adult, what a blessing those few verses were to me. When I have been friendless, the words in the 23rd Psalm reminded me that I wasn’t alone. When I have been financially strained, the 23rd Psalm reminded me and assured me that God would take care of me. And when there were times in my life when I didn’t know what to pray, I prayed the 23rd Psalm. Although I have been blessed by those words, as a parent and more mature Christian, I know full well that there is more to God’s word than the 23rd Psalm. And I decided that I want that more, for me and my family. So as a homeschooling parent that writes educational materials for her children, I decided to put together a book that would aid us in memorizing Scripture. One that would enable me and the members of my family to simply open a book, follow the directions, and start memorizing. To memorize, the process of reading, writing, and recalling is the most effective method. The problem is that most of us don’t have time to put the different parts of the process together in way that helps us to memorize Scripture. When I finally determined to memorize Scripture, that was my problem. And that is why I came up with this process. This method incorporates reading, writing, and recalling Scripture. For the sake of my own spiritual growth, I put together an open-and-memorize self-contained system, so all I have to do is follow the directions and start memorizing. With this system, you begin by reading the passage to be memorized and writing it in the space provided. The next day, after you are familiar with the passage, words from the passage are removed. You read the passage, mentally supplying the missing words. And for the next 2 days, more and more words are removed, so that by day 5, the passage of Scripture is memorized. To make the process even more effective, I made sure to focus on keywords. When I was in college, I received an engineering degree, but like everyone else I had to take history and other liberal arts classes–classes which were filled with memorization. Although I preferred learning processes, I had no choice but to memorize the material for my classes. Eventually, I learned that my ability to memorize large amounts of material hinged on my ability to focus on a handful of key words. Those key words were always located at the beginning of independent ideas. Once I had familiarized myself with the general idea and totally memorized the key word, I could memorize all of the material in no time. When removing words, I have applied the same process to the Scripture Memory books, and made sure that those critical key words are memorized first. Because the memory system focuses on keywords, it only takes a few minutes per day to memorize 3 to 6 verses per week. And after a few weeks, you will be absolutely and completely amazed at the amount of Scripture you have memorized. It is simple, easy, and quick. Currently available are Memorize the Sermon on the Mount, Memorize Galatians, Memorize Philippians, and Memorize Psalms for Praying.